What at first seemed like a tongue-in-cheek nod to the extra-long title of Alejandro González Iñárritu‘s Oscar-winning Birdman or (The Unexpected Virtue of Ignorance), the hand-scribbled sub-title to Birds of Prey, written by none other than Harley Quinn (Margot Robbie) herself, has been confirmed as the official title of the upcoming DC heroines movie. Formerly titled Gotham City Sirens, the movie centers around Harley Quinn and a gaggle of gal pals that includes Huntress (Mary Elizabeth Winstead), Black Canary (Jurnee Smollett-Bell), Cassandra Cain (Ella Jay Basco) and Renee Montoya (Rosie Perez), as they team up to take on Gotham City baddie Black Mask (Ewan McGregor). The word “emancipation” in the title seems to allude to the status of Robbie’s character vis-a-vis her homicidal maniac boyfriend, the Joker (Jared Leto), but the pair are supposedly prepping to reprise their roles together in “an insane and twisted love story” written by Glenn Ficarra and John Requa (Crazy, Stupid, Love) so we’ll have to wait for the official synopsis for more clues about their relationship. 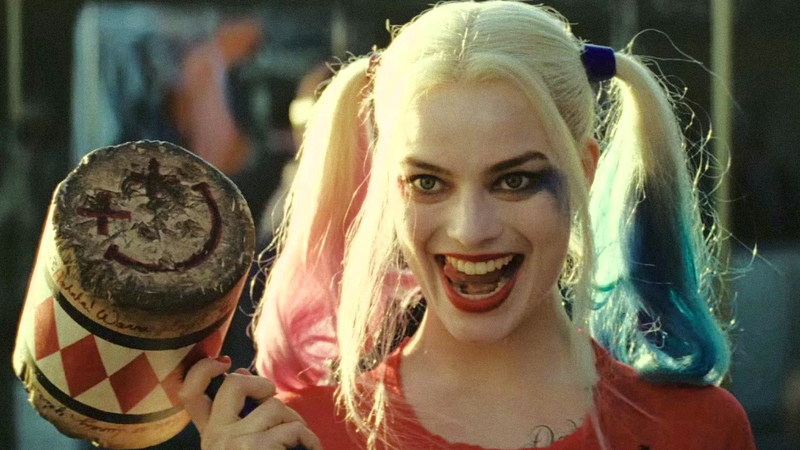 Cathy Yan will direct Birds of Prey (And The Fantabulous Emancipation of one Harley Quinn) from a script by Christina Hodson. The movie is slated to open in theaters on February 7, 2020.